Recipients of the National Endowment for the Arts American Masterpeices: Chamber Music Grant Allégresse combines the virtuosic talents of three nationally recognized musicians with careers that have taken them throughout North America, Central and South America, Europe, and Asia both as soloists and chamber musicians. Allégresse, the French word for joy, aptly depicts the graceful artistry of this inspiring trio. Friends and collaborators for nearly a decade, Annie, Margaret, and Ellen formed this exciting ensemble to explore the rich and varied repertoire for flute, oboe, and piano. They perform frequently on Kansas Public Radio and in 2009 they were awarded the University of Kansas General Research Fund to commission a work by Latin Grammy winner Gabriela Lena Frank. The trio premiered Frank’s work, Canto y Danza, along with Halo by Bryan Kip Haahiem at the 2009 International Double Reed Society Conference in Birmingham, England. Other appearances include the Music Educators National Conference in Washington, D.C., the International Double Reed Society Conference in Ithaca, NY, the Oklahoma City Community College Cultural Arts Series, the Topeka Great Spaces Recital Series, the Ruel Joyce Series at Johnson County Community College (KS), and the University of Kansas Edwards Campus Recital Series. In the fall of 2011 they were invited to perform at the Festival of New American Music in Sacramento, CA. In October of the same year they presented a concert and master classes at the University of Costa Rica and in 2012 at the Conservatorio de Musica in San Juan, Puerto Rico. Dedicated to expanding the repertoire for the flute, oboe and piano trio, Allégresse has commissioned six new pieces. Their new recording, Fresh Ink features three of these new works. Annie Gnojek is in high demand as a freelance musician, flute educator and clinician in the Lawrence and Kansas City areas, where she manages a successful flute studio. In addition to her private teaching, she has presented master classes at several schools including Oklahoma State University, Fort Hays State University, University of Northern Colorado, University of Wyoming, Sacramento State University, University of Puerto Rico, and the University of Costa Rica. Apart from her teaching career, Annie is also the flutist in the trio Allégresse along with Margaret Marco, oboe, and Ellen Sommer, piano. They perform numerous concerts through out the year both nationally and internationally including the world premiere performance of two new trios in Birmingham, England in July 2008, and the world premiere of pieces for flute, oboe, piano and bassoon in Tokyo, Japan in 2015. 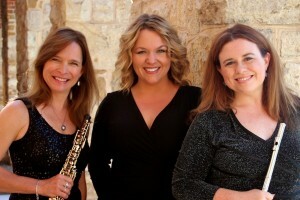 As the 2008 winners of the National Endowment for the Arts Masterpieces: Chamber Music Grant, her trio toured through Kansas performing all newly commissioned music. Their CD, Fresh Ink, features music commissioned by Allégresse and was released in January 2010. 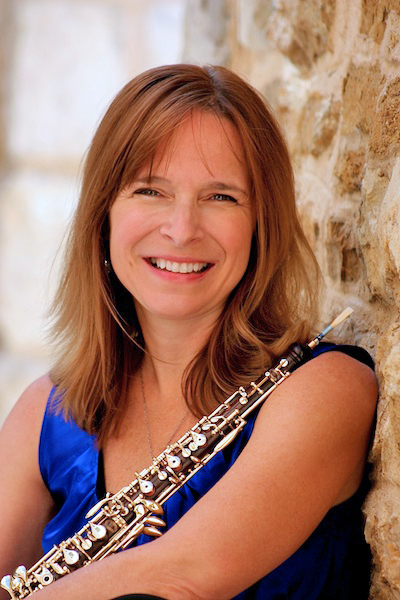 Annie can be heard as principal flutist on the 2006 Naxos Release of Redline Tango with the University of Kansas Wind Ensemble and on the Allégresse recordings, Allégresse: Music for Flute, Oboe, and Piano(2009), Fresh Ink (2010), and (Mercury 2016). Annie has also performed the music of Brian Kip Haaheim on the soundtrack to the Showtime documentary film, Fall From Grace. She performs frequently on Kansas Public Radio both with Allégresse and as a soloist. 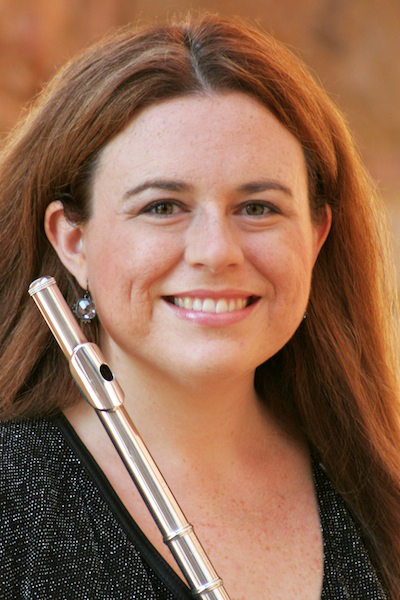 Annie is the principal flutist in the Lawrence Chamber Orchestra and holds both a bachelor’s and master’s degree at the University of Kansas where she studied with John Boulton and David Fedele. Margaret has appeared as soloist with numerous orchestras including the Orquesta Sinfonica de Maracaibo, the Rome Festival Orchestra, the Kansas City Chamber Orchestra, the Dubuque (IA) Symphony and the St. Joseph (MO) Symphony. She is the Associate Professor of Oboe at the University of Kansas and holds degrees from Northwestern University, The University of Iowa and the University of Illinois in Champaign-Urbana where, in June 2001, she earned her doctorate and completed her paper entitled An Annotated Bibliography of Works for Oboe by French Composers from 1697-1748, Preserved in the Bibliotheque Nationale, Paris, France, not Published in Modern Editions. Her teachers include Ray Still, Grover Schiltz, Mark Weiger and Nancy Ambrose King. Dr. Marco is the co-principal oboist of the Kansas City Chamber Orchestra and performs frequently with the Kansas City Symphony and the Kansas City Ballet Orchestra. She has performed and presented master classes at the University of Costa Rica, the Ameropa Chamber Music Festival in Prague, Czech Republic, the Mozartissimo Chamber Music Festival in Madrid, Spain, the Sewanee Summer Music Festival in Tennessee, the University of Michigan and the Festival de Doble Canas Centro America, Mexico y Caribe. She served as President of the Midwest Double Reed Society and was invited to perform at the International Double Reed Society Conferences in 1997, 2003 and 2005-09. 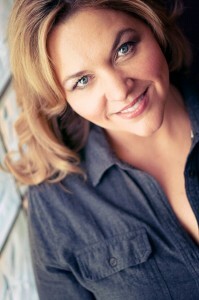 She performs frequently on Kansas Public Radio and with Allégresse and as a soloist. She currently serves on the Executive Committee of the International Double Reed Society as the coordinator of the Fernand Gillet-Hugo Fox International Oboe Competition. Ellen is highly sought-after as a collaborative artist in the professional community. She has toured extensively throughout the United States and Canada, performing on live radio broadcasts, regional and national conventions, competitions, recital series, and cruise ships. In addition, Ellen can be heard on several professional recordings, Stepping Stones; and Just for Fun, with euphoniumist Pat Stuckemeyer; Stepping Stones for Tuba with Scott Watson, Rare Breeds and Dog-Eared Classics, with the Kansas Brass Quintet; and Arrows of Time, with trombonist David Vining. In addition to recordings, Ellen performed the music of Brian Kip Haaheim on the soundtrack to the movie, Fall From Grace. Ms. Bottorff was on the keyboard and voice faculty at Missouri Western University from 1994-2004, with her students receiving high honors in state and regional competitions. As well, she has taught at the Institute for Young Musicians, Midwestern Music Camp, and Sound Encounters Suzuki Strings camp. In addition, Ellen coaches chamber music at the Brian Lewis Young Artist summer symposium. Currently Ellen is the director of Collaborative Piano and Chamber Music at the University of Kansas. She collaborates with several members of the KU music faculty on recitals and concert tours. In November 2009 Ellen will travel to Costa Rica with violinist, Tami Lee Hughes, giving concerts and teaching master classes. A graduate of the University of Missouri-Kansas City Conservatory of Music and Missouri Western University, Ellen has studied with Richard Cass, Jerry L. Anderson, Rita Sloan, and Robert Koenig. She has performed on several master classes with noted pianists such as Ann Schein, Pia Sebastiani, and Richard Goode.